Only when we are sincere, will God bring us to the path that is suitable for us. After we have found that path we must be careful not to seek blessings from any other source, since they will lower our spiritual level. The Quan Yin meditation is the highest and best and through Master's guidance we can advance ourselves, by not struggling and by being patient. When we die, we will know at that time, what initiation means. Although our Master makes a great effort and provides us with everything necessary when we come for group meditation and initiation, there are unfortunately some ignorant people who do not appreciate this. All of the religions originated from the same Quan Yin Method. Each retained some small external symbols to use for identification within each religion. These external symbols have become the essence of these religions and the "real" meaning of the Quan Yin Method has been lost. This Method has been taught by other "Masters", who have had to be careful, because even though today they would not be killed, as Jesus was, they are often misunderstood. Therefore, they are often subjected to unfair criticism, rejection and lies. We must take advantage of this rare opportunity to be initiated into the Quan Yin Method. If we waste it we could transmigrate forever and have eternal suffering. How can a person's sincere yearning for God, bring that person to the correct path? How can we protect ourselves if our life work requires us to be physical with non-initiates? Why must we repeat the Five Holy Names during the light meditation? As we progress with our meditation, our questions become fewer. Why do some people seek out Master, but are so burdened with karma that their hearts are hardened and they cause Her much suffering? Why do our souls feel comforted when we hear music from the instruments that were made from the Masters of long ago? Why do practitioners of the Quan Yin meditation, both from ancient times and present time, have to be careful about showing their belief outwardly? Why is the "Master Power" so hard for some people to understand? 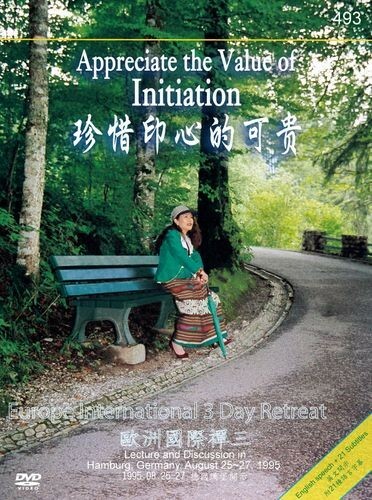 The opportunity to become a Quan Yin practitioner is very rare, yet some people reject it.